Are you a participant in the “Game of Love”? Every day I find myself questioning love. Love of myself, my spouse, my life. I’m constantly reminded, via emails from a variety of life coaches, that I first must love myself, before I can truly love another. I don’t find that to be true. I think that early on in my marriage, I truly loved my spouse. I believe with all my heart that I sincerely love my children, without any doubt in my mind. So maybe I’m interpreting the statement incorrectly. It may just mean that in order to love your “significant other”, you must first love yourself. In believing that you love yourself, you would not question certain things they said or did. “Why is he spending so much time away from me”? “Why didn’t she take care of me when I had a cold”? And then the ultimate question….”does he or she really love me”? Do we turn the argument around on ourselves and ask “why aren’t we lovable enough”? You might ask that question if you didn’t first “love yourself”. Love is a silly game. Your love game might be different from mine. I’m not competitive, so I don’t believe I always have to win. I don’t always have to be right. Having said that, I would like to win sometimes. Playing a game that you never win makes you really want to stop playing, doesn’t it? Maybe your love game is one-sided. You’ve got one player that constantly tries, while the other just sits back and doesn’t put much effort into actually “playing” the game. Could one player actually love the other “more”? Both of the love game players might be resentful. One gets ahead, the other falls behind, constantly playing catch up while the whole “game” morphs into jealousy. “I’m jealous your life is better than mine”. “Life is so much easier for you”. 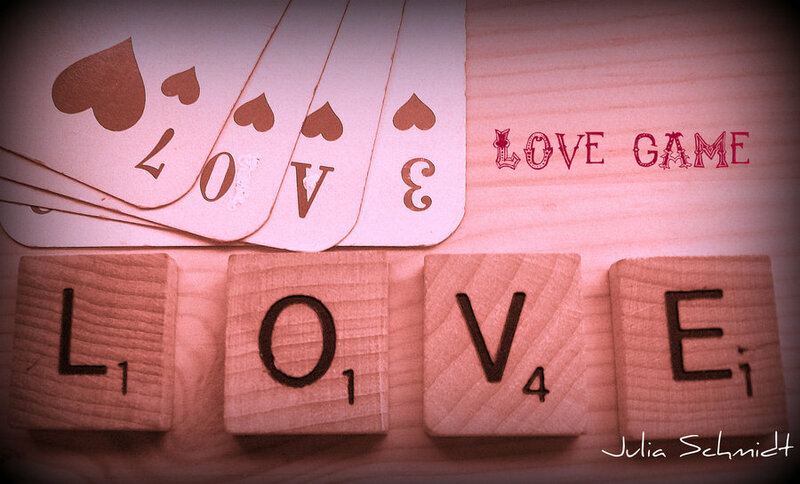 With Valentine’s Day right around the corner, lovers everywhere are contemplating their “love game”. Some may be dreading the touted “hallmark holiday”, while others look at the day as being a way to “step up their game”. When it comes to the game of love, how will yours play out?